Accessories like car covers and such play a significant role in protecting your vehicle. In this article, we’ll specially go over the best BMW car cover, Corvette car cover and Mustang car cover for your car care routine! Think about it. You’re not only buying luxury cars for the bragging rights. One of their main come-ons is their beautiful exteriors. Simply put, you also buy luxury cars for their looks. As elite versions of vehicles, they are designed to look like the best of the best after all. Getting damaged by dust and other weather pollutants will lower not only the aesthetic value of your car but also its financial value. A high-quality car cover can help protect your luxury vehicle from pesky contaminants like dust and dirt as well as harmful UV rays from the sun, acid rain, and other weather conditions. So, if a regular car needs a car cover, then it goes without saying that your luxury car would require one as well. But there are many different kinds of car covers to choose from! You should definitely take the time to learn more about them to help you select the best one for you. If you want to learn about car covers, the benefits they give, and the differences each kind has, then check out these articles – Best Car Covers and Covercraft Car Covers for more information. 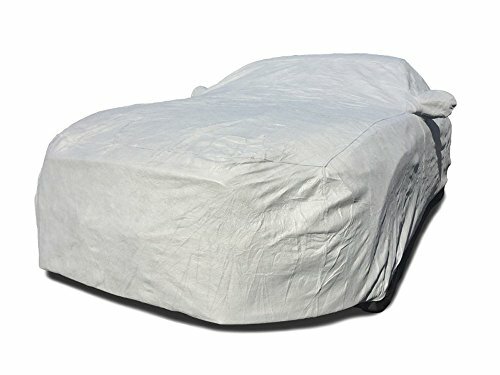 Discover the Best Car Covers for Luxury Cars! But what is a luxury car and why should you take good care of it if you have one? If you’re looking at it from a functional point of view, a luxury car hardly differs from regular ones. They take you from Point A to Point B. However, most luxury cars are created with more high-quality materials and parts. That being said they are also more expensive if you want to compare them with regular vehicles. There was a time that branding was the sole basis of what a luxury car entails, but like many industries, this branch of automotive has also evolved. All in all, luxury cars are not a necessity but a want. Whether you get a sedan or SUV, you need to ensure that your vehicle is getting the protection it deserves. You guessed correctly if you thought that protection also means car covers. For the most part, car covers are one of the least expensive yet effective accessories you can get. Also, getting one that fits your car perfectly is already one more step ahead of the defense game. If you want to learn about the more specifically designed types of car covers, just head on over to these articles – SUV Car Cover and Car Window Covers. Since we are talking about luxury cars, it might be better to go through car covers by specific brands. But before that, why do you actually need a car cover? Car covers provide many benefits like anti-theft properties, protection from dust and scratches, as well as defense against harsher pollutants like UV rays, acid rain, snow, frost, ice, and even hail. So to better fit your automotive models, it’s best to buy custom fit or semi-custom fit covers for your luxury cars. By semi-custom, here it means a cover that can be bought ready-fit but was designed for a specific automotive brand and model. For the first group of vehicle covers, why not discuss BMW accessories? A BMW cover, as you might’ve guessed correctly, is a car cover made specifically for cars produced by the German company Bayerische Motoren Werke AG (Bavarian Motor Works). You can buy either a BMW outdoor cover or an indoor one, depending on where you usually park your car. You can also buy them according to your model. So you can have a BMW X3 car cover or a BMW X4 car cover, and so on and forth. Just make sure to buy a cover that will fit the dimensions of your own car. 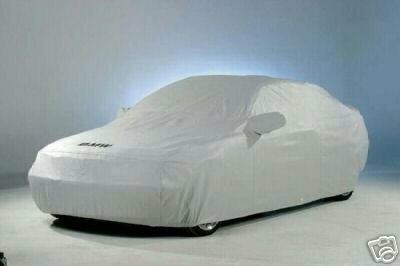 The first luxury car covers up for discussion is this BMW Z4 car cover. It can fit the 2.5 I and 3.0i 2003-2008 models. It is made from NOAH breathable material, which is one of the newest fabric innovations used for automotive purposes. It is a three-ply fabric that’s water-resistant and stretchable. What makes it brilliant is its ability to create microscopic holes smaller than water droplets to let moisture out from inside your cover. Therefore, this cover can still help keep rain, dirt, and dust away from your car but it can still let the air circulate. It also has overlapped seams and reinforced grommets for a better fit. Not to mention that it comes with a pretty handy storage bag as well. Next luxury car cover we looking into is the BMW 5 Series car cover. This one is custom fit, but can be primarily be used for models in the 2012-2018 BMW 5 Series. It is made up of a 5-layer fabric combination that is both waterproof and weatherproof. Plus, its heavy duty fabric is lined with soft fleece to prevent it from scratching your car’s finish. It can protect from natural pollutants like snow, rain, tree sap, droppings, as well as industrial pollutants like road debris. It uses Remafin which is a patented UV Stabilizer to make sure that your car cover lasts for a long time. 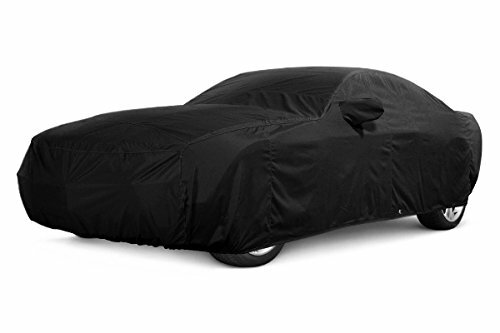 This car cover also comes with a tie-down strap with a buckle so you can store it conveniently after each use. Unlike some of the other custom-fit covers available in the market today, this one is a genuine BMW accessory, so you know it’s made specifically for this brand. 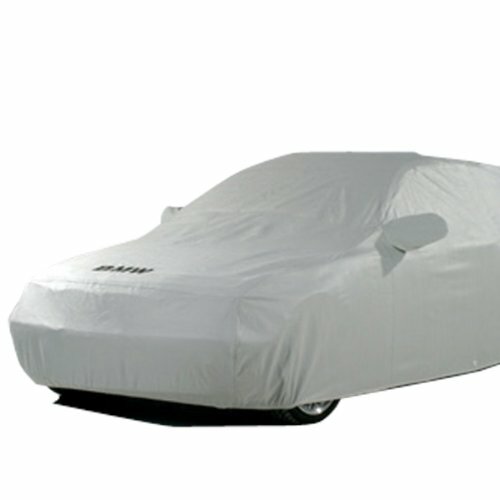 This luxury car cover is tailor fit for your BMW 3 Series models, and the best thing about it? It’s for the outdoors! 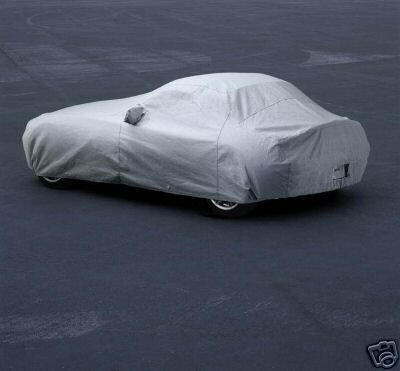 This outdoor car cover is made from a breathable, three-ply fabric that is highly resistant to rain, snow, dust, and other contaminants. But it’s also breathable, so you don’t need to worry about moisture getting trapped inside. It is also designed with overlapping seams and reinforced grommets for more durability. Plus, its very light weight makes it easy to use and fold when it’s time for storage. It even comes with its own storage bag. Check out the BMW forum or this BMW blog for more tips, advice, and general know-how about BMW cars in general. Looking for car covers for your Chevrolet Corvette? You will also need the best car covers to help protect these beauties. To be more specific, the best outdoor car covers will provide more protection for your Corvette especially if it’s parked outside. 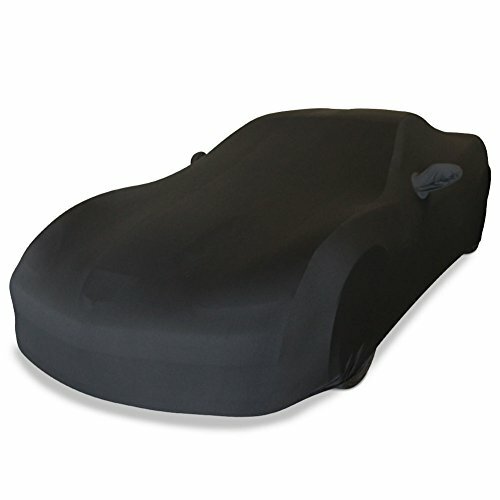 Before buying this Corvette cover, you should be aware that this is designed for indoor use only. That means it can protect your car from dust and dirt, but not a lot else. This doesn’t mean that it’s less worth getting because let’s be honest, your car can still get dirty even inside the garage. It can still be damaged by mold and mildew. 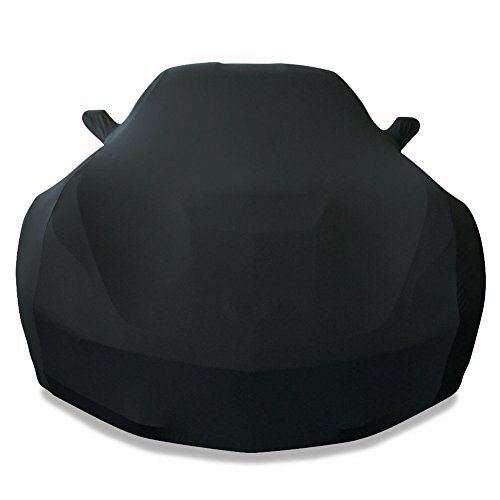 This car cover is made to fit all Corvette models produced from 2014 to 2018. It is created with an ultra-luxurious satin fabric that allows it to cling to all the lines and contours of your car. It also has a soft inner layer that protects your car’s delicate finish, all the while being breathable. It might have fewer seams, but; this cover’s fabric does not rip or tear easily, so you don’t need to worry about that. Plus, it comes with a storage bag of its own. If none of the above suit your Corvette then you have to opt for a custom-made car cover. 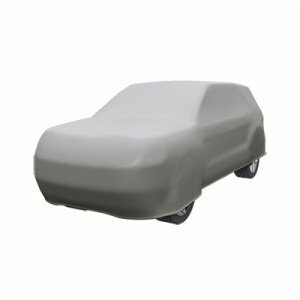 Check out this Custom Car Covers post for more information about custom-made car covers and the best place you can order one. The last brand to be discussed in this article is the Ford Mustang, but it’s definitely not the least! Ford Mustang is one of the most classic models out there. Safe to say, many people love this brand, and it would be a huge waste if you can’t take care of it well. It’s a good thing that many shops sell Ford Mustang accessories, then. 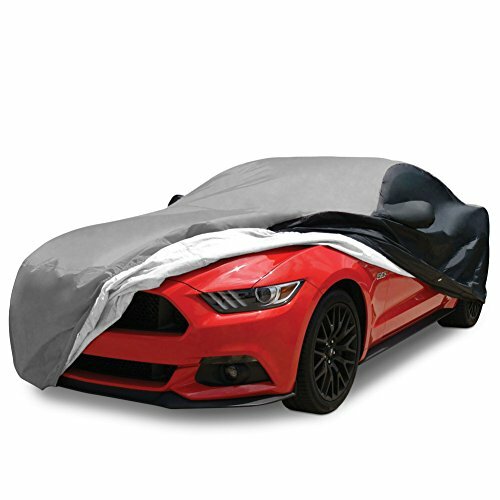 Your beauty will definitely appreciate a Ford Mustang car cover, that’s for sure. But you shouldn’t just buy any old Mustang Cover! What’s so great about this car cover, you ask? Well, you can use it virtually anywhere! It’s a great year-round, all-season car cover since it can be used as an indoor and outdoor cover! It is made with Denier polyester with a water-resistant outer layer. But it must be taken into consideration that it’s not waterproof. While this car cover can effectively handle light to moderate rain, it will still get soaked during heavy rain. However, it is durable since the fabric doesn’t rip easily. Plus, it also provides excellent UV protection. It can sufficiently reflect sunlight so that your car won’t be damaged. Its soft inner cotton layer also helps protect your car from unwanted scratches. It also comes with its own storage bag. If you want to learn about the extra special car covers that can protect your vehicle from seasonal weather disturbances, then read these articles – Hail Car Cover and Car Cover for Snow for more information.